So you call the Democratic Primary race for governor a clown car? 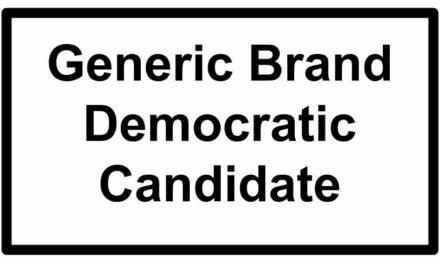 Okay, fine, it’s a funny analogy, but for the first time in my life one of the major Wisconsin political parties has a huge field of primary candidates for a statewide office. With nine candidates with some ability to win, the race is interesting if for nothing less than a litmus test on what appeals to Democrats, and maybe as a proxy test for the 2020 national presidential primaries. 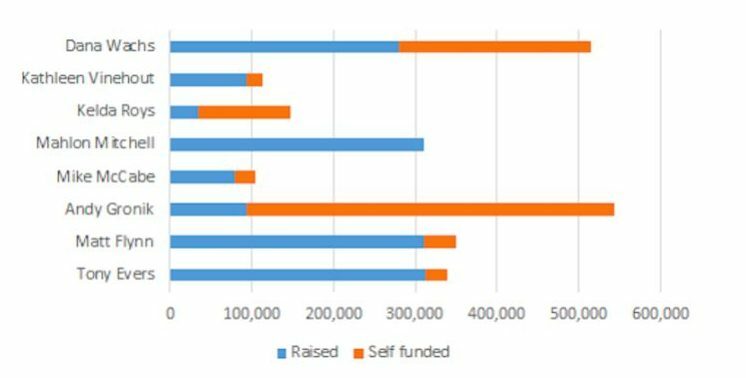 Recently, a PPP poll and the candidates’ first competitive campaign finance reports were released. These developments and my own qualitative assessment of each candidates’ assets and liabilities form the basis for the following handicapping of the race. It appears State Superintendent of Schools Tony Evers is far and away the leader of all candidates polled and has raised a significant amount of donations. Evers seemingly defies conventional wisdom that charisma matters for political popularity. A review of his finance reports shows he has wide support among small donors and larger names you’d recognize. After winning three statewide elections, and developing a wide base of support among Wisconsin school teachers, Evers clearly is in the pole position to win the August primary. That said, having such an early and decisive lead places a target on his back. 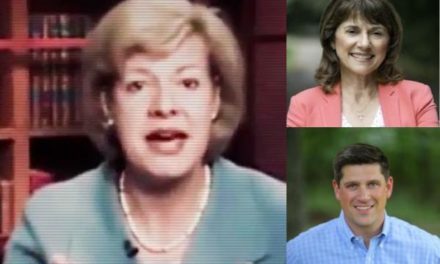 It will be interesting to see which candidate will go after Evers – and whether Evers will take the bait and engage in a back-and-forth. The smart move will be for Evers to try to run out the clock. Firefighter union leader Mahlon Mitchell is likely the Democrats’ best candidate to be competitive with Governor Scott Walker. He has some remaining name recognition from his 2011 run for lieutenant governor during the recall election. Despite entering the race late, he was able to raise a good chunk of cash from his national firefighter union contacts. He will need a springboard from this “easy money” into wide statewide support, which currently isn’t indicated in the PPP poll. 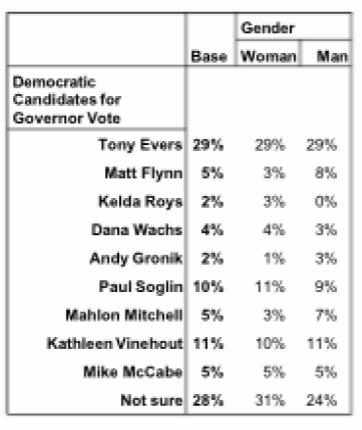 Still, as the only African-American on the ballot and the only one with a cool and admirable job (sorry attorneys Flynn and Roys), he could cobble together an interesting coalition of voters and make it to the winner’s circle. Look to see if he spends time and resources actually organizing voter mobilization efforts in African American communities in Milwaukee, Racine, and Beloit. Milwaukee attorney Matt Flynn may seem like a throwback candidate, and he is, having been the chair of the state Democratic Party in the early 1980s (pre-Tommy!). However, being an older candidate has its benefits: Flynn has probably attended more rubber chicken dinners in the Milwaukee media market for this-and-that non-profit organization than anyone in history. Decades of chits add up and Flynn is ready to cash them in. Moreover, his polling numbers in the Milwaukee area show deep support. He’s preternatural likable and his campaign has raised a good chunk of money. He’s also running an issue-heavy campaign, which sets him apart from the sugary, pep-rally oratory of Mitchell. Former state Rep. Kelda Roys (D-Madison) is educated, personable, passionate, and a mom: the personification of the #Resistance movement of suburban professional women appalled by President Donald Trump. Expect Roys to beat the drum on so-called “women’s issues” such as paid leave, harassment in the workplace, access to childcare, and reproductive rights. She will carve out a large portion of voters who are primarily motivated by the national debate and would like to see a stark contrast, not necessarily to Walker, but to the president. Her low fundraising numbers and poll placement are a product of a late and rocky entry into the race. A trial lawyer and assemblyman from Eau Claire, state Rep. Dana Wachs has the ability partially fund his own campaign war chest and articulate a mainstream Democratic message. He has middling charisma and the non-threatening appearance of your favorite uncle. Wachs would be the perfect candidate in a three-candidate field where the other two blast each other (ala Feingold-Moody-Checota in 1992) leaving a hole. However, in the current field, it will take a massive effort to disqualify all other legitimate contenders leaving the spoils to the milquetoast Wachs. But it looks like he’s trying. Behind the mild exterior, Milwaukee insiders believe Wachs’ campaign consultants may have been behind the string of nasty Dan Bice stories that befell Andy Gronik last year. Also, for such a supposedly astute politician, why was with his low-fi and awkward campaign intro video the worst of the field? Despite his grumpy and aged demeanor which suggests he should only be considering a run for the Del Boca Vista Condo Association, über-boomer Madison Mayor Paul Soglin has high name recognition and unassailable lefty credentials. In a race of nine candidates, starting out with a ten percent base is literally half the battle. Soglin is a professional politician and will be able to compete through August. Entering the race late has allowed him to avoid scrutiny of a finance report (and the hard work of fundraising). Whether he is serious about winning, or just acting as a spoiler (to a Buffalo Springfield soundtrack) for Mitchell and Roys, is an open question. On paper, a woman who is a former dairy farmer and educator from outstate with an appeal to blue-collar Wisconsinites sounds great. In reality, state Senator Kathleen Vinehout (D-Alma) has consistently failed to improve herself as a candidate, both through mastering communication of issues and fundraising. A recent appearance on UpFront with Mike Gousha displayed her lack of charisma and her inability to make a persuasive case for herself. In a limited field she may have had a chance to squeak through, but expect her to be in the low single digits come August. 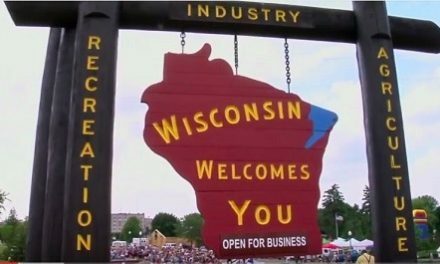 McCabe may have invented the role of Wisconsin’s “left-wing public scold” at the Wisconsin Democracy Campaign to chime in on public policy issues for years without holding public office. Still, his lack of membership in the Democratic Party and an inability to raise his profile in a way that makes people actually like him, compounded with an apparent fecklessness in raising money, shows he is a third tier candidate. Also, wearing blue jeans doesn’t make someone relatable, likable, or persuasive; what a lame schtick. However, McCabe did have the best introduction video of the field and maybe can make up for his liabilities through a savvy social media video effort. There were high hopes that the outsider Gronik would challenge the status quo and maybe say something interesting. Alas, a policy entrepreneur and thought leader he is not. Gronik has failed to make any case as to why he is qualified or interested in running for the top elected spot in the state opposed to, say, the state senate. Hit with a brutal string of media stories, Gronik has not caught on as shown by his finance reports (and, wow, he’s spent a lot of his own money) and polling numbers. As I wrote in a recent Right Wisconsin 2018 prediction article, the current field is completely open for either Milwaukee Mayor Tom Barrett or former Senator Russ Feingold to enter the race and capture a winning plurality of primary votes based on name recognition alone. However, Feingold appears to have again left Wisconsin for the ivory towers of academia and has never really had interest in the day-to-day affairs of Wisconsin. Additionally, Barrett may be facing his biggest political fight ever in an evolving lead water controversy in Milwaukee. Dan Adams is a former pundit on the late Sunday Insight with Charlie Sykes and was best known as Charlie’s “token moderate” Democrat. Adams is a well-known criminal defense attorney. He has not endorsed any of the candidates.